Only the best, highest quality magazines can stand the test of time. Labels & Labeling has been a trusted contributor to the label community, capturing with honesty the flow of creativity from suppliers and converters alike, always offering an education, opinion, as well as a source of inspiration. I have a faded stack of copies that I keep thinking of recycling, but I never do, and often look through just to appreciate the speed of change that the label industry has embraced. As these changes occur, and evolution prevails, Labels & Labeling has been on the cutting-edge of the topics related to those changes, galvanizing the spirit of print and stimulating minds. I, the OPM Group and the Finat team wish Tarsus Group continued success for the next 40 years to come. I look forward to each edition of Labels & Labeling to help keep me up to date with news and changes in trends and technologies within the label industry. It is one of the most thorough and best sources for news and updates on what is happening in the label industry around the world. Labels & Labeling is to label industry entrepreneurs what David Beckham is to football or Mahatma Gandhi to Indian history. They were the best of their era, and so is L&L when it comes to providing information and education, evaluating methods and emerging technologies, sharing the vision and mission of industry stalwarts, and becoming the barometer of the industry by covering major exhibitions. Kimoha started printing labels in 1988 and from then on L&L has become a handbookcum-directory for information on all departments that we could ask for. Sometime between the late 1980s and early 1990s, on one of my trips to Europe and the UK, I came across the magazine Label & Labeling. I was so impressed with the content that I wished to make a subscription. I noted their address and when in London I went and knocked at their door. It was a residence and the door was opened by a lady, to whom I tried to explain that I liked the magazine and wished to make a subscription. She turned around and spoke to her husband: ‘Mike, there is a gentleman from India who wants your magazine.’ That was Mike Fairley, and I spent the afternoon with him. We tried unsuccessfully to understand how to send money from India, where foreign exchange regulations in those days made it almost impossible to remit such small amounts. That was the start of my friendship with Mike Fairley, the international label guru and founder of the magazine. Around the start of new millennium, after Tarsus had acquired the publication, Andy Thomas, the editor, agreed to print my first article in Labels & Labeling. In 2003, I invited Andy Thomas and Greg Bowman, representing Labelexpo, to visit the first India Label Show in Mumbai. I eventually helped and facilitated Tarsus to acquire the show from my friend and founder Anil Arora. India Label Show was later in 2010 renamed Labelexpo India. Labels & Labeling has excelled and contributed to the growth and bonding of the global label industry. My congratulations to this great publication on its 40th anniversary. My feeling is that Labels & Labeling’s coverage of the Latin American market has been instrumental in changing the perception of the region. Here, innovation is created daily, mostly through small upgrades in processes or products; sometimes by major breakthroughs or even disruptive innovation. The magazine’s coverage has allowed Latin American converters to become as well-known as our European and American counterparts. Labels & Labeling, congratulations on your 40th anniversary. Ever since the founding of MPS in 1996, we have been closely working together: L&L spreading news about MPS developments, and the magazine serving as a great source of industry news, developments and trends. You have been a great partner and I wish all who work to create this beautiful magazine – or platform which it is nowadays – a successful future. We are proud to share our 40th anniversary with Labels & Labeling, as Domino Printing Sciences was also founded in 1978. You cannot help but admire how this publication has thrived when so many others struggle against ever present digital forms of media. L&L’s cutting-edge coverage of topics relating to all aspects of flexo and digital equipment has proven beneficial to our company’s decision making. 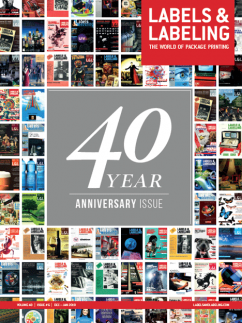 Congratulations Labels & Labeling magazine on the celebration of your 40 year anniversary, and thank you for being such an outstanding resource to the printing industry. As a contemporary of Labels & Labeling, just five years its junior, JM Heaford has been guided by expertise in these pages through many periods of success and challenge. As we have grown, learned and adapted, we have seen this magazine mirror our own development to become, today, an indispensable resource, friend and champion of the dynamic industry it serves. Labels & Labeling has been on forefront of the label industry for 40 years. It has been instrumental in promoting the industry tirelessly by informing all about key technology launches, events of companies, advising on mergers and acquisitions and more. Led by label guru Mike Fairley, Labels & Labeling is the prime media, which supports and promotes the industry without bias. We wish it a fantastic successful future and thank the present team for carrying on the legacy of Mike Fairley. As a regular South African L&L reader, I appreciate the valuable information I receive about developments in the emerging markets, such as South America, Africa and Asia. These news articles are valuable for our management decisions. Gill Loubser knows the South African printing and packaging scene very well and represents the region in her personal style to the benefit of all L&L readers. The industry experts who are featured in the monthly stories in Labels & Labeling provide a wealth of information and specific industry insights that not only help us operate our business more effectively today but more strategically at the same time. An effective business leader must recognize that an industry group such as is featured in a first-class publication like Labels & Labeling can be a resource as valuable as an experienced board of directors. Since our company was established over 17 years ago as a specialist narrow web ink company, we have worked closely with the L&L team who have accompanied us throughout our journey. As the global voice of the label printing industry, Labels & Labeling has been instrumental, through advertising, editorial and events, in supporting our growth and expansion to become a significant player in the world of label inks and coatings. Labels & Labeling has been around almost as long as GSE Dispensing. As we developed as a company, Labels & Labeling grew in importance for us as a means to communicate with the market. 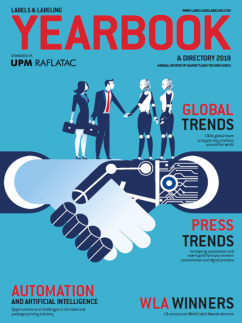 The magazine distinguishes itself through its staff’s enthusiasm for the label industry as well as their technical and market expertise – and this is apparent in every much-awaited edition. Congratulations to Labels & Labeling on reaching its 40th birthday. That special anniversary also comes in the same year we have announced the sale of the 250th unit of our AccurioLabel 190 full-digital toner press across the world. And the number of installations just keeps on growing. We’re proud to be part of your success story. We entered the market back in the autumn of 2015 and have come a long way in a short space of time. Konica Minolta continues to develop market share and build its label business across the world, but we always need a reliable source of news, statistical information and opinion to help achieve our objectives. 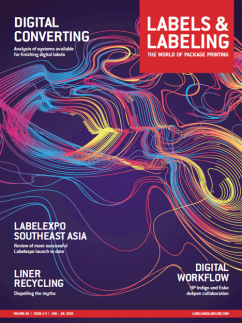 Labels & Labeling – through its recognized magazine with its global coverage, Label Academy and various shows – is a lighthouse point of reference. 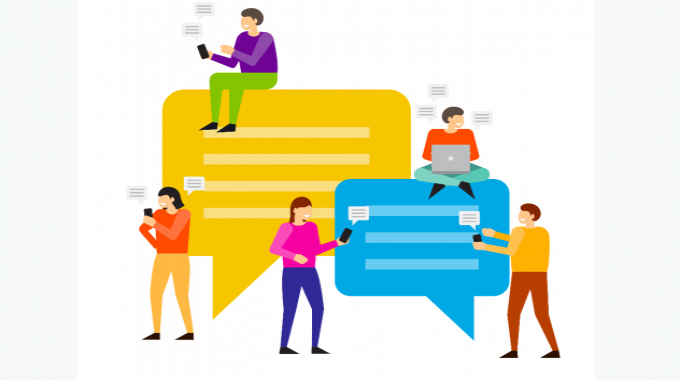 It provides an important resource for us to connect to label converters, many who have subsequently gone on to become our customers. Labels & Labeling and Tresu Group are of a similar age and we have both experienced the rapid growth of the label industry. In that time, Tresu’s innovations in flexography and converting have been reported frequently in the pages of the magazine. The technical knowledge and the editorial integrity of the publication’s staff are deservedly respected and it continues to be an important partner. Primera Technology and Labels & Labeling have a long history. Back in 1998 when Primera was founded, L&L was one of the first magazines we worked with. And when in 2005 we started our journey within the digital label printing industry with the announcement of our first desktop color label printer, the LX800, L&L was definitely the ideal media partner, including our latest product news and offering us the right platform to advertise all the printers that followed. L&L is always a great information source, helping us to keep track of the latest market developments, innovations and new trends through well-researched articles. Some of them certainly supported us in our decision to develop a digital color label press based on laser technology. Labels & Labelling is a very important partner in my business, as it provides label market trends and the broader needs of consumers. Doing business in Africa can be challenging, but here at Label Leaders we live our motto, ‘Let’s grow together’, by supplying customers with top-quality labels backed by impeccable service. L&L provides a global benchmark for our business. 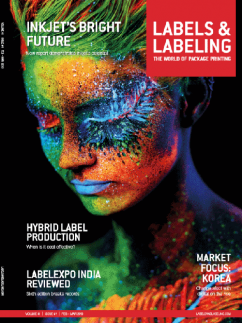 Labels & Labeling magazine is the leading publication for the worldwide narrow web label industry, which is why my colleagues at Kuresa and I are always eager to read the latest articles about new technologies. The success stories from other printers around the globe are often inspiring and allow us to get a glimpse on how new markets behave. I recommend everyone involved in the narrow web label industry to subscribe to Labels & Labeling and to thoroughly read every article in order to keep themselves updated as to what’s going on in our dear industry. 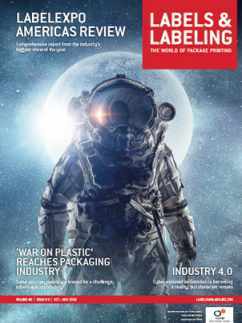 Labels & Labeling magazine has been a continuous, essential reference for a label industry that has faced unrelenting technological, social and political change over the last four decades. Thanks to the professionalism, knowledge and passion of its editorial and advertising staff, the magazine has given readers the insight and understanding to make informed decisions. We’re thrilled to celebrate both Labels & Labeling and Contiweb’s 40th anniversary. It’s a particularly exciting milestone for Contiweb as we’ve also just become an independent company, focusing on strengthening our presence in labels. 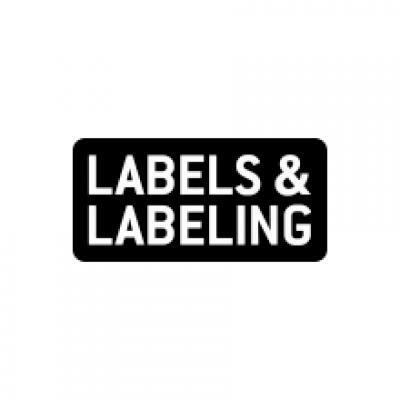 Over the last four decades, Labels & Labeling has established itself as the publication of choice for the international label market.